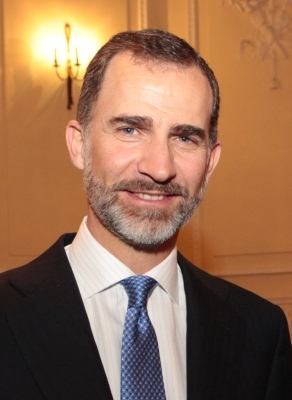 He gained the title of Infante de España between 1968 and 1975.1 He gained the title of Prince Felipe of the Asturias on 1 November 1977.3 He succeeded as the Rey Felipe VI de España on 20 June 2014. [S12] C. Arnold McNaughton, The Book of Kings: A Royal Genealogy, in 3 volumes (London, U.K.: Garnstone Press, 1973), volume 1, page 434. Hereinafter cited as The Book of Kings. [S269] Spanish Royal Family Website, online http://www.casareal.es/ingles. Hereinafter cited as Spanish Royal Family Website. [S3] Marlene A. Eilers, Queen Victoria's Descendants (Baltimore, Maryland: Genealogical Publishing Co., 1987), page 209. Hereinafter cited as Queen Victoria's Descendants. [S12] C. Arnold McNaughton, The Book of Kings: A Royal Genealogy, in 3 volumes (London, U.K.: Garnstone Press, 1973), volume 1, page 502. Hereinafter cited as The Book of Kings. [S12] C. Arnold McNaughton, The Book of Kings: A Royal Genealogy, in 3 volumes (London, U.K.: Garnstone Press, 1973), volume 1, page 501. Hereinafter cited as The Book of Kings. [S12] C. Arnold McNaughton, The Book of Kings: A Royal Genealogy, in 3 volumes (London, U.K.: Garnstone Press, 1973), volume 1, page 503. Hereinafter cited as The Book of Kings. [S8128] Obituaries, Los Angeles Times, Los Angeles, California, USA. Hereinafter cited as Los Angeles Times. 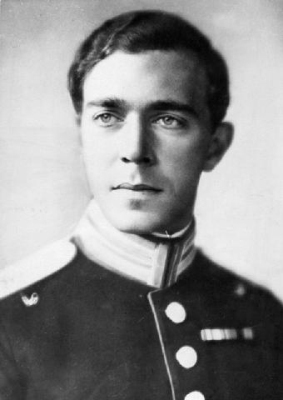 Bertil Gustaf Oscar Carl Eugen Bernadotte, Prince of Sweden was born on 28 February 1912 at Stockholm, SwedenG. 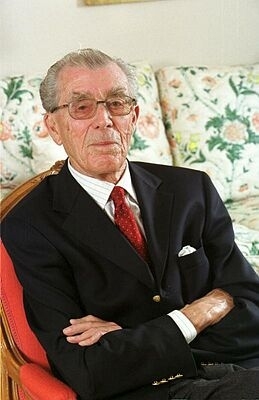 He was the son of Oskar Frederik Vilhelm Olaf Gustaf VI Adolf Bernadotte, King of Sweden and Margaret Victoria Charlotte Augusta Norah Saxe-Coburg and Gotha, Princess of Connaught and Strathearn. 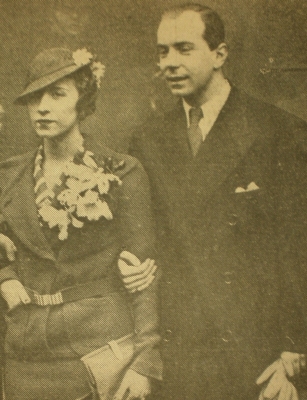 He married Lilian May Davies, daughter of William John Davies and Gladys Mary Curran, on 7 December 1976 at Stockholm, SwedenG. He died on 5 January 1997 at age 84. [S12] C. Arnold McNaughton, The Book of Kings: A Royal Genealogy, in 3 volumes (London, U.K.: Garnstone Press, 1973), volume 1, page 504. Hereinafter cited as The Book of Kings. 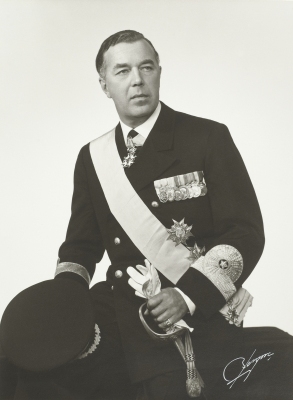 Olav V zu Schleswig-Holstein-Sonderburg-Glücksburg, King of Norway was born on 2 July 1903 at Appleton House, Sandringham, Norfolk, EnglandG.1 He was the son of Haakon VII zu Schleswig-Holstein-Sonderburg-Glücksburg, King of Norway and Maud Charlotte Mary Victoria Saxe-Coburg and Gotha, Princess of the United Kingdom. 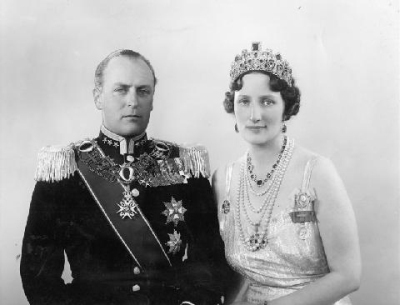 He married Märtha Sofie Lovisa Dagmar Thyra Bernadotte, Princess of Sweden, daughter of Oskar Carl Vilhelm Bernadotte, Prince of Sweden and Ingeborg Charlotte Caroline Frederikke zu Schleswig-Holstein-Sonderburg-Glücksburg, Princess of Denmark, on 21 March 1929 at Oslo, NorwayG.1 He died on 17 January 1991 at age 87 at Kongsseterern, Oslo, NorwayG. He was buried on 30 January 1991. 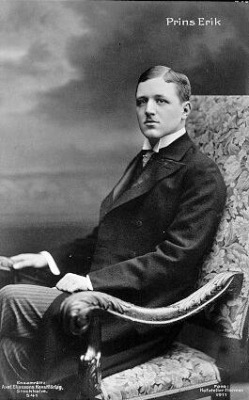 He gained the title of Prince Alexander of Denmark.1 He was given the name of Alexander Edward Christian Frederik zu Schleswig-Holstein-Sonderburg-Glücksburg at birth.1 He gained the title of Crown Prince Olav of Norway on 18 November 1905.1 He was acceded to the title of King of Norway on 21 September 1957.1 He gained the title of King Olav V of Norway on 21 September 1957. [S3] Marlene A. Eilers, Queen Victoria's Descendants (Baltimore, Maryland: Genealogical Publishing Co., 1987), page 177. Hereinafter cited as Queen Victoria's Descendants. [S12] C. Arnold McNaughton, The Book of Kings: A Royal Genealogy, in 3 volumes (London, U.K.: Garnstone Press, 1973), volume 1, page 191. Hereinafter cited as The Book of Kings. She graduated from Oslo University, Oslo, NorwayG, with a Bachelor of Arts (B.A. )3 After her marriage, Sonja Haraldsen was styled as Queen Sonja of Norway on 17 January 1991. 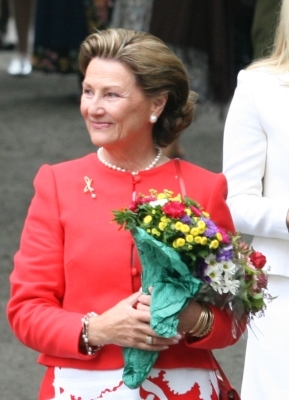 [S267] Norwegian Royal Family, online http://www.kongehuset.no/default.asp?lang=eng. 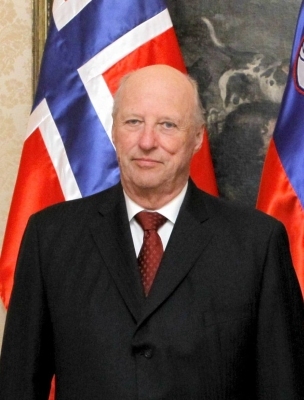 Hereinafter cited as Norwegian Royal Family.